Prime subject for any Indian election is Caste today. However, many Indians do not know the real meaning of “caste”. Indians were kept in dark confused on the facts associated with “caste” to divide them for votes. The word “Caste” comes from word “Chaste”, which means “Pure blood”. Concerned by the mixing of races, Spanish started a policy called “Systema da Caste” in America (As male Europeans, slave Africans started mixing with native Indians and started mixed breed in America). To ensure sanity of succession in church, missionaries adopted “Systema da Caste”. This policy became a mockery (as racism) after President Lincoln abolished slavery and gave equal rights to African Americans. After this legal right, Black Americans can assume an equal position in churches. So, the “pure blood line theory” collapsed. A typical western template applied to India. 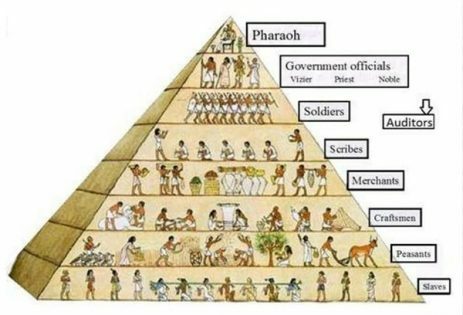 This pyramid of hierarchy did not exist in India, as India had proof of “Republic” called “Janapadas”. Also note the distinctive existence of a separate slot for king, farmers, artisans and slaves in western template that does not fit the chaturvarnas. Vedas, Mahabharata or Ramayana doesn’t show an iota of this “Hierarchy and subjugation”. In-fact, the books depict a picture of a Powerful king bowing to a nomadic saint, to listen to the most weakest from the society. A commoner was free to walk in to the court and seek justice without worrying about king’s power. During slavery days, Western world had 2 terminology, “Class and Caste”. Class is based on economic level (High and Low. So British Parliament has House of Lords to represent high class and House of Commons to represent low class citizens). Due to industrialization, especially from Germany, middle class emerged as a dominant class. This middle class is creating Grey-areas and merging the boundary between High/Low class discrimination. Caste system is altogether abolished as “racist”, but it survives as white vs colored people discrimination in private places. In India, historically, we never had “Caste”. The founding base for India, Vedas declare, “Humans as one” (In-fact, it goes a step further, by saying “Tatvamasi“, which means possibility of equating humans to the level of god). Vedas promulgate “Sarve jana sukhino bavanthu“. So, racism, as understood in west was not practiced in India. Skin color was not a distinguishing factor at all, as we find white and non white people in all sections of India. Even Gods are shown in multiple colors. Megasthanes, who documented Alexander’s conquest, clearly documents, no slavery in India. He even states that, Indians never subjugate humans as “slaves” as it is against their belief of “Evolved soul residing” in Humans. Indians believed in “Rebirth” and they saw their departed souls in other humans. This idea prohibited “slavery” in India. Instead of 2 words (class and caste), India, had 3 words to identify grouping of people. Understanding these terms with historic truth, probably can solve many of our current problems. c) Gothra – English word equivalent is “Sir Name/Family Lineage). “Jaati” was a word used in India to identify a specific “bread/species” of animals or Plants. For example the famous “Gir bread of cow” was called “Gir Jaati”. Humans in total were referred as “Manushya Jaati”. At the least colloquial level it was used to distinguish gender (purusha jaati/stree jaati). So, The correct translation for “Jaati” is “Species” and not “caste”. Europeans wanted to introduce their “Systema Da Caste” in India too and they started using “Jaati” in place of “Caste”. This has huge ramifications. Now coming to Dharma, we have famous saying “Follow Dharma”, to seek right path. So, Dharma is something, that helps an individual to distinguish “right” from “wrong”. “Dharma” is the foundation for delivering “Justice”. In India, Historically, Justice was delivered in the name of god. So, religion is attached to “Dharma”. This is the fine difference between West and India. In west, they followed codification of public rules, while In India, we promulgated different “religious thoughts” and gave option for people to adopt and follow it. Dharma was left to individual choice and beliefs. The top level idea was that, if not judged here, humans will be judged by creator at the end. Humans should follow Dharma not because of “fear of getting caught on earth and get punished” but because, they will be “judged by god and they have no escape route there”. As nobody would be there to justify or support at, God’s court, an individual should be given a free choice to pursue what he thinks as the “right Life”. This way, he will be solely responsible for his deeds (This will Plucate a king/state from inheriting effect of bad deeds by forcing an individual into it). In India, People were asked to name their “Dharma”, so that they will be judged on their “own belief system”. This is practiced to keep impartiality of justice delivery system. We get historic references, where in, a “Jain” king will “Judge”, a “Muslim/Hindu as per their “Dharma”. Although Jainism preaches “ahimsa”, a “Muslim/Hindu” was not punished for killing an animal (for food or for ritual). This is how, conflicts were avoided, till Muslim conquerors violated the tradition. Muslim invaders insisted on delivering justice only based on Islamic principles. This was the major conflict point in society at that time. Indian intellectuals debated and refined their school of thought to define what was the correct way of leading a life (or follow Dharma), so that individuals clear “Judgmental scrutiny” of creator. This is the reason for so many social/religious reformers gaining popular support and finding mass following (like Shankara of Advaita). By this definition on religion, just like Islam or Christianity or Jainism, school of thoughts like Advaita/Dwaita also qualify as different “Religions”. In modern day, India too accepted “codified rules like west”. Now, The “rule of law” is separated from religion in the form of “constitution”. So, irrespective of what we follow as religious school of thought, we can’t do something against “rule of law”. So, Constitution of India becomes supreme and dictates “what is right” and “what is wrong” in our daily life. So, for all Indians, constitution is “Dharma” now. Only “religious part of Dharma” is probably relevant for believers. This left out part can be called as “religion” today. The public discussion/refinement of “religion” has lost its meaning. “Religion” is relevant, only if you believe in the idea of “final judgment” by creator. So, words “Dharma” and “Religion” are not equivalents in meaning in today’s context. Kula is related to what “we do” to make an earning. Kshatriyas is the profession of warriors. In Kshatriyas, we get historic references like “Suryavamshi Kula”, “Chandra Vamshi Kula”, “Agni Kula” etc. The different “Kulas” came in to being, as people diverged on the way of performing the “Duty of protection” . Many kings who identify themselves as “Jains” further state that, they were “Agnikula Rajputs”. If “Kula” is purely Hindu, why would Jains use it? In fact, many non-Hindus fighting under a Rajput flag, also used to call themselves as “Agnikula”. Each Kula, had a diety (kula daiva) and a profession (kula kasubu). The Kula deva was more like a flag or an emblem to unite people (like CA or “+” mark for doctors). That is why it was possible for a Jain/Budhist/non-believer to fight a war as “agnikula” under “agni” and claim all benefits attributed to a “Kshatriya”. Many “Kula daivas” of Brahmins like “Venkateshwara/Kala Bairava” is same as the “Kula daiva” of other sects. So, a Brahmin or a Jain could follow their religion for way of life (follow a philosophy of their liking/belief), but were subscribing to the same “Kuladaiva” of a farmer (like Srikanteshwara), if they were in the profession of farming in public life. We see Hindu temples being built by Jains (Dharmastala, a popular destination in Karnataka is administered by a Jain family even today. Similarly, many Jain temples were looked after by Hindus. There are innumerable historic records to prove this point). Just like today’s VIPs want their children to follow their path, (politicians want to induct their children in politics, film stars want to install their dear ones in to the place their vacating etc), every one wanted their wards to replace the seat they were vacating. So, profession was hereditary, but outsiders were inducted in to profession, if suitable talent was exhibited. There are historic proofs of a Brahman fighting a war (Mayura Sharma of Kadamba kingdom) or a hunter becoming a court poet (Kalidasa), etc. Each profession/Kula generates income. Income attracts “Tax”. However, it was difficult to create different slabs of tax structure and implement it. Taxation before Britishers, was a simple affair and comprised of two primary types (“transaction tax” and “land tax”). a) “Transaction tax” was levied on “goods/services” at the point of delivery. b) Land was a major “resource”. Land ownership was with State/King/Local deity. Allocation of land means, leasing of “tenancy rights”. So, a rent in the form of “tax” was levied on land. Land revenue was a significant component of revenue for state. So, people were always looking for “Discount/waiver on land tax”. Non-cash type is simply awarding “tax breaks” in the form of “Discount/Tax waivers”. Agriculture was the main profession. A farmer has to pay transaction tax and land tax to exchequer on one side and he has to receive a sum for supplying grains. To simplify this two-way transaction, farmers looked for non-cash transaction, which is “waiver of tax burden” in proportion to the amount of grains supplied. This converts 2 transactions in to 1 and reduces accounting burden. As, tax breaks were “futuristic”, it was preferred to neutralize the burden arising due to unexpected weather conditions”. Due to these tax structures, “Varnas” came in to force. The Chaturvarnas were nothing but a superficial grouping of “Kulas” for the purpose of taxation. This can be understood from the book Indica by Megasthanese. Brahmins were the people, who were engaged in non profit social services. Like religious service, teaching, court duty, literary works, astronomy etc. Such professions did not generate any income for them. So, no tax was levied on these set of people. As their profession necessitated spending considerable time in delivering social service, it was not possible for them to engage in farming. Hence land was not useful to them. So, Grant/Aid was awarded to such people. “What is your “Kula Kasubu” was a normal question, even after some one identify himself as Brahmin. A Brahmin by birth, but engaged in farming, obviously did not had time to deliver social service. Hence, he was becoming commoner and was subjected to both land tax and transaction tax. This is the reason, many Brahmins never owned land and were freely traveling. For the same reason, Brahmins were a dispersed community across the country. They were moving in pursuit of opportunity (with grant/aid available) to carry out a profession (like that of astronomy). We see Brahmins born in Andhra being inducted as Shankaracharya in Gujarat or a Brahmin born in Karnataka being employed in Kashmir. 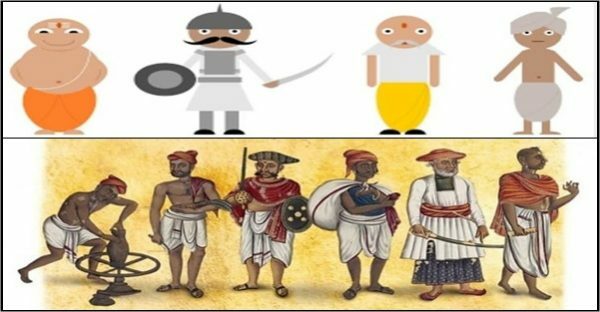 A Brahmin had to surrender his right to “fight/defend” to “Kshatriyas”, his right to “Trade” to “Vaishyas” and his “right to produce any goods” to “Shudras”, before qualifying to receive tax-free-aid-n-grants. This is why a Brahmin was called “Dwija” or twice born. Accepting this “Limited right life” was not easy and was not meant for everybody. So, professions (kula) supported with “Tax-Free-Grant-in-Aid” was grouped as a Varna called “Brahmins”. Kshatriyas were the people, who were engaged in warfare as a full time profession. All the warriors were not Kshatriyas. Many people engaged in farming were temporarily participating in the course of war. But they were not Kshatriyas. These temporary “warriors” were again given tax breaks in exchange for the service rendered for the country. But “Kshatriyas” who were in to full time duty, were given a “tax free salary”. Anybody in the service of king with a salary were called as Kshatriyas (lady attendants too), as they were participating directly or indirectly for war. As Kshatriyas were dedicating their life to state and their livelihood was guaranteed by state exchequer, they did not rent land and were not farming or raising animals. Kshatriyas had to take the pledge to fight for state and offer to do supreme sacrifice (ones own life) when called for. As the commitment was heavy, it was not for everybody from society. The landless people engaged in the professions of “providing security” with “Tax-Free-Salary” was grouped as a Varna called “Kshatriyas”. Vyshyas were the people engaged in trading. Agricultural commodity and animal husbandry products were normally traded by farmers themselves. Traders were engaged in trading items of “craftsmen”. As factories/centers of producing crafts was not available every where and crafts men were busy in producing items, they needed “trading” services. Hence traders were engaged in trading finished goods or raw materials. Traders did not own land, but were owning “trade routes/networks”. “Trade route” was their asset. As there was possibility of hoarding and black marketing, state had to regulate traders. To regulate traders, state used to levy heavy taxes. These taxes were product based or demand based (so was not fixed). Black marketers were punished heavily. Traders engaged in foreign trade were taxed differently. As taxation was not fixed, this group has to be handled separately. Apart from land revenue, traders were contributing the highest tax revenue. “Market access” and “Transit protection” was offered to traders in lieu of taxation. The landless people engaged in the profession of “providing trading services” with “Differential tax treatment” was grouped as a Varna called “Vysyas”. Shudras were the commoner class. Rest of the population (not belonging to 3 varnas mentioned above) were treated the same, as they pay a uniform tax depending on the product or service they were selling. The tax was collected when they bring product or service to the market. In-fact there was no grouping called “shudras”. The word “shudras” came as a after thought in some texts (Puranas). This varna classification can be easily understood, if we just ask the question, what was the varna of rulers and farmers? Rulers were powerful people. Farmers were the largest community. If at all any social grouping gets done, there must be a separate classification for these two. But we do not find an exclusive Varna for rulers or farmers (why??). Note, the profession of a king or a farmer is also passed over in Hereditary way. We have kings from all sects of society. Irrespective of their born “Kula” (brahmin/vysya/hunter/fisherman), a king will automatically switch to “Kshatriya Kula”. Same with Farmers. All sects do farming. A person born as Brahmin, but was seeking land for farming was loosing his status as “Brahmin” and was joining the commoner class. This was demotion, as intellectual duty was commanding more respect in society. Dharma was not related to “Kula”, as after switching to kula, the person could continue his Dharma (the religious philosophy he believes). However, after switching his kula, he would be adopting to farming kula and used to accept the local deity as kula devatha (as land belongs to that deity). This is why we have many families shifting their kula daivas in the past (If family migrates, they had to change their kula daiva also to in tune with the new reality). With shifting of Kula, ones varna was also shifting from “Brahmin” to “commoner” as farmer (but born in brahmin family) was not qualifying to seek grant-in-aid. It is true that, there was one more special varna called “untouchables” (as it is projected today) or “Out castes”. It was special, because, it was not an explicit varna (but an implied grouping). Apart from capital punishment and life-in-prison, the harshest punishment was to banish people from entering the state again. These “stateless” people were called “Out castes”. Normally, Brahmins, Elderly and Women were given this punishment (as they were generally exempted from capital punishment). The outcasts had to live outside the state boundary normally in forests. The idea is to leave them to their fate (expecting a cruel animal to eat them). Bandits, who were driven away were also considered as “outcasts”. As they were banished from state, citizens were expected to not help them (in effect not to touch, so they were untouchables). Many tribes engaged in “loot” were driven out like this in the past. Such tribes were forced to live out of India, and they eventually became nomad invaders (read about banished Arabii tribe occupying barren lands in Baloocch and later becoming Arabic people. This is mentioned in Megasthanese book, Indica). During Muslim invasion many people were forcefully converted to Islam. When Muslims were driven out and lands were re-occupied, public faith on Islamic converts were very low and the mood was that of suspicion. The mood was suspicious, because, the generally accepted practice among Hindus was to choose Death against Dis-Honor or forceful religious conversion. While many embraced death, some did not do so, waiting for a favorable time to convert back. But this re-conversion would have angered the families whose dear ones perished respecting “Dharma”. So, society did not accept these Islamic converts in to Hindu fold. So, these converts were treated like “outcasts”. The forcefully converted people faced bad treatment without any justification. These converts, who refused to become Muslims, but lived like outcasts slowly built anger on main stream people. It is interesting to see the “faith” of these people. They lived a “Hindu” life, inspite of very tough marginal life options. Even today, they refuse to convert to Christianity / Islam and continue to live a “Hindu” life. India needs an awareness on this issue and their hardship needs to be acknowledged. The original suspicion is no more relevant and these people have proved their mantle. They just need restoration of honor within Hindu religion. When, East India company wanted to expand their trade, they needed to expand their security force also to protect their bases and trade routes. They neither could bring people from Europe (as it was expensive) nor they could recruit locals (as locals were loyal to the king). Their only option was, these “outcasts”, who any way had a grudge against the state. Britishers understood the “anger” in these outcast tribes very well. They secretly recruited them. These outcasts were the reason for expanded force of British. They provided all support, cunningly and with maximum cruelty. They gave the idea of “loot” to Britishers. Once in to this act (of supporting Europeans), they easily became property of Britishers (as they faced anger from suspicious main line citizen) and became second class citizens under British. This locked them and hence could not revolt against Britishers (although they realized their mistake shortly). These helpless outcasts became easy target for conversion. Once many kingdoms were toppled, Britishers used the “untouchables” as a tool to spread “casteist stories”. They spread the word by casting “racism stories” of the west. The “outcasts” became the suppressed victims in the hands of “upper caste” in the imaginative stories of Britishers. The”Upper caste” definition changed from “Brahmins” in some parts to any strong “Kula” (like Jats”) in some other parts. As said before, Brahmins surrendered their rights to enjoy the “Trust” for their work. Without “Rights”, Brahmins never had land power, muscle power or money power to suppress anybody in society. So, the subjugation theory was simply a lie without any historic record/proof. Caste was simply a “story” spread by Britishers and later by leftists. It was spread to demoralize Indians. Many sects who were artisans, became poor due to policies of British. British, hijacked the trade, as they wanted to be middlemen. They replaced every where as agents by creating “un-trust” among communities. Many of these craftsmen (like weavers, potters) communities became weaker section as the margins were squeezed by British middle men and were driven out of business. To hide the “Truth”, Britishers spun a lie called “suppression”. Another reason for spreading the “lie” was to convert the demoralized and distressed people to Christianity, as they will become easy targets in that state. Europeans, expected “mass conversion” of people at “Kula” level. But religion was strong. People fundamentally knew the truth. They did not fall for this trap and did not convert. Because of this, Missionaries came under severe pressure by funders. So, Britishers started, surveys and started to study the underlying reason. They found out that, the reason behind peoples dislike to Christianity and opposition to conversion efforts were due to “religion” and not due to “Kula” (as assumed). They also found out that, this religious knowledge was given in public schools. So, education system became their next target. Immediately they cut the funding to schools. They knew, the funding cut will kill the institutes. Once the institutions were gone, society will look for alternate solution. So, they presented missionary backed “English” schools as an option. Indians finally fell for this “Trap”. (read the book Beautiful Tree, for hard data). Kula is same as your profession today. “Varnas” has lost its meaning, as we apply taxes and expenditure based on different set of rules. Gothra is to identify blood line. It is paternal, as in many parts of India, people adopted fathers profession (or Kula). Foreigners use this Gothra system by using it as their “Sur Name”. A “Smith” is basically belonging to a family who were engaged in metal forming (or smithy). They also carry it paternally. Gothra is not exclusive to Brahmins. It exists in all sects. Like “Kula devata”, an identity was required for Gothra. As, “Guru” was considered as the next best person to show right path, Guru was used to name Gothras. Guru parampare (or lineage), with whom they got their beliefs (or religion) originally, are used in the Gothra system. The same Gothra people can be understood to be related from their paternal side. This helped to avoid inter-marriages in the same family tree. There is pure “genetic science” behind it. To avoid complexities (ideological differences), intra-religious marriages were generally avoided (The difference of opinion in what is right or wrong could cause daily fights in a family). Note there is no explicit rule regarding “Kula”. But, generally Intra-Kula marriages were also avoided to protect and strengthen ones “Trade”. But, note, except “Gothra” there is no hard and fast rule (or opposition), for a intra-religion or intra-kula marriages. For example, we do find references to person born in Advaiti family marrying a person from “Dwaiti” family. Mahabharatha begins by narrating a Kuru prince marrying Satyavathi (a fishermen kula). The marriage did happen without any opposition from society. Note, how a commoner lady dictated the terms to the powerful king, to ensure her offspring’s will take get the right of succession to govern (switching of Kula is seen and it did not hinder transfer of power). The large number of Jains and Buddhists did not disappear suddenly. Once the decline started, The followers, just opted for a suitable religion (within Hinduism as we identify today) and continued their “Kula” and “Gothra”. People did marry these re-converted Jains and Buddhists without any issues. There was no opposition to these re-conversions or marriages, as Jains/Buddhists were not “outcasts” at that time (they were treated as different religious background, but switching was allowed at will). We find in history the Jain king of Hoysala Vishnuvardhana switching his religion to Advaitha due to Ramanujacharya. We find powerful Chandragupta Maurya switching his religion from Shivism to Jainism. Only Chandragupta Maurya switched his religion. His son, Bindusara continued in Shivism. In history we do not find any opposition from Chanakya, Vishnugupta, who was still guiding Bindusara. Ashoka switched his religion from Shivism to Buddhism. So, switching ones “religion” was a right granted in Indian society from time immemorial. There is no point opposing another human being for his personal beliefs. “Caste” never existed in first place in medieval India. “True History” should recognize this “Fact”. We Indians, are free to choose our religion (guaranteed by constitution). Religion matters only at personal level (which is dictated by constitution). We are free to choose our profession (again guaranteed by constitution), so Kula has also lost its original meaning. Gothra, is again individual choice to maintain/continue. But “Caste” is not ours and definitely there is no scope for it to continue. Simply stop discussing “Caste” in public domain. Let us bury it along with “Britishers” in history and let us move on. Featured image and other images courtesy: Google. A BE in Electronics, MS from IIT-Chicago, and EPGP from IIMK, Ramprasad Soghal is an IT professional and History researcher. He runs CredibleIndianHistory (Facebook Page) and writes his findings there.